Here,I have listed out important Google URLs that every google user should know. 1. mail.google.com - It allows to access your emails. If you don’t have an email account, you can create for free. It coms with 15 GB free space for you emails. 2. google.com/diversity - If you want to build your career with Google, or apply for the internship, you should visit this URL.You can explore the career opportunity what many people dream of. 3. myaccount.google.com/security/activity - If you are worried about your account if someone is using it or it got hacked, you can visit this URL. It will show you the location, and all the devices that was recently used to connect to your Google Account. 4. google.com/settings/account/inactive - This URL is very important to manage your account. It allows you to setup a timeout period for your account, and when you don’t use your account for specified duration, Google takes action according to your setup. You can setup to delete your account permanently or control the information your share with other people, friends and family. 5. accounts.google.com/SignUpWithoutGmail - When you try to sign up for a Google Account, you are asked to create a new gmail address. However, this unique URL will give you the access to create a Google Account with your existing email address. You won’t have to create a gmail account. 6. google.com/doodles - Google customizes the Google Logo with adorable doodles depending on the occasion or festival. You can check the whole history of Google Doodle usage from the given ULR. 7. google.com/maps/timeline -This Google Page allows to recheck the places and routes you have visited. You can also change, delete location, or the entire location history. It can also be enabled or disabled. 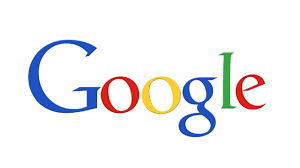 8. google.com/landing/2step - This URL allows to create two factor authentication for your Google Account. It will increase your account security, and every time you try to login from an unusual place or device, two factor authentication will take effect. 9. google.com/settings/ads - Do you know how Google see you on the web? Google customize the ads for you based on your interest, age and gender. You can make changes, and put priorities what kind of ads you prefer to see. There is also option to disable interest based ads. However, when interest based ads is disabled, you will still see the ads, but that may be based on the location you are browsing from. 10. google.com/android/devicemanager - This URL is very helpful if you can’t locate your Smartphone. It allows to locate your Phone on Google Map, give a ring to the phone, do factory reset or lock the device with password. However, Android Phone must be turned on, and connected to the internet to use these features. 11. google.com/edu - This URL will take you to Google for Education page. This page allows to make purchases related to education apps, gadgets, accessories etc.. You can even hire a trainer. 12. google.com/settings/takeout - This page includes almost everything about your account, including Calendar, Contacts, Google Driver Files and so on… It allows to download all your data, even YouTube Videos. While downloading your data, you can enable or disable certain kind of data that you don’t want to include in downloaded file. 13. firebase.google.com - It is for those who are in app development field. Firebase is a Mobile platform that allows to build apps, make it better, and earn from them. 14. google.com/grants - If you are running a nonprofit organization, and want to promote it with Google. Google offers up to $10,000 in-kind advertising every month from AdWords, and up to $40,000 for Grantspro participants. 15. apps.google.com - This page has been made for professionals and business person. It provides Google Apps for work. For example, you can create your own customize email address (i.e. [email protected]), and get 24/7 support, business-grade security and controls. 16. google.com/contacts - This URL will take you to Google Contacts Page where you can see all the contacts you have saved under Google Account. If you use an Android Phone, iPhone or any other device, and use Google Account to sync your contacts, those contacts can also be viewed here. You can edit, modify or delete, and it will be applied to all the devices connected with Google Account. You can also import and export contacts to use it on other devices. 17. play.google.com - This URL is already known by users. If you are logged in with the same Google ID on your Smartphone and Android Phone, you can initiate any app installation visiting this URL, and the installation of the app will start on your Android Phone. This URL can also be used to check your purchase history, request refund if you have issue with the purchased item, reinstall the purchased apps if you have deleted from your device. 18. google.com/maps - Search a location, watch street view, start navigation, see route, and there are much more you can do visiting this URL. If you already use a Google Maps app on your device, there is no need to visit this page. 19. chrome.google.com/webstore - Looking for some awesome apps for your ChromeBook or Google Chrome browser? Visit the given URL, and you can download so many apps, and those apps are very small in size, and works with Google Chrome Browser. 20. play.google.com/music - Do you love music ? Visit this URL to listen to your favorite music online. It comes with free as well as Paid subscription. Google Play Music also allows to upload songs that you already own. 21. google.com/trends - This URL allows to see the trending search queries and topics. It will help you to be aware of what other people are most interested in around the world. 22. myactivity.google.com/myactivity - This URL will let you see all the activities of your Google Account (related to search and Google Products usage). It show which websites you visited after making a search, which video you played, what you typed in Google Search engine, and so on. 23. translate.google.com - Have you got a piece of content or paragraph in a language that you don’t understand? Try that URL, and translate with Google Translation for free. 24. books.google.com - Do you love reading? Start searching for the kind of book that you love the most. You can read so many books online for free, or buy it for offline access. 25. history.google.com/history/audio - This URL will show you the log of your Audio Search Queries. You can click the play icon, and listen to it. 26. google.com/flights - This URL allows to search for flights quickly. 27. google.com/alerts - This URL allows to set alerts for desired brands, products or services. You can keep yourself updated receiving the alerts from Google. 28. fonts.google.com - Get to know Google fonts, and you can use those fonts on your website. Google provides the full instruction and the code that you can use on your website. 30. google.com/accounts/recovery - If you have deleted your Google Account recently, this page can help you to recover them for a certain period of time. However, it’s almost impossible to recover Google Plus account. 31. goo.gl - This is Google’s URL shortener page that allows to shorten a long URL quickly. It also keep the record of those URL that have been shortened, but you need to be logged in to see the history. 33. photos.google.com - I hope you already know this page. Google Photos has its website as well as App for Smartphone, Tablets, Mac and PCs. Users get unlimited free storage for Photos and Videos, they can keep their photo safe on the cloud, edit them or can also create albums. 34. google.com/bookmarks - You can visit this URL to check all the locations you saved on Google Maps, but labeled places doesn’t appear their. You can add bookmarks, export it, and can delete. 35. support.google.com/legal/troubleshooter/1114905/ -If someone is using your content you can report Google to get those removed from Google Services, including search engine, Google Plus, and all other Google Services. This URL can also be used if you want to report a content (spam, harassment, social abuse, racism etc.). 36. google.com/about/careers/search - Looking for job? Visit this URL, and browse all the available jobs. You can also apply for the job right from there, and you need to add your resume, contact information, education, work experience etc..
37. google.com/drive - Google Photos allow to upload just Photos and videos, but this URL can be used to store any kind of data on the cloud. You can access your uploaded data, from computer, PC, Mobile etc..
38. plus.google.com - This is the social media URL of Google. Google Plus allows to share your thoughts and updates like you do on FaceBook and other social media. You can also create your own pages, join communities etc.. It is very helpful to promote your business/webpage and get social. 39. passwords.google.com - When you login to any website on Google Chrome, it does ask if you want to save the password. This URL works as Password Manager, and keeps your all saved password in one place. You can visit the URL, and see any password if you don’t remember. If you have kept it enabled, you must activate 2-step verification to keep the password secure. 40. images.google.com - It is Google image search URL that allows to search any kind of images you want. Along with typing the name of the image, you can also upload image to make a reverse image search.